If you haven’t heard, Veracity recently unveiled Substance, a brand new NationBuilder theme available to nonprofits, campaigns, business and other groups looking for a professional, clean, and efficient website solution. Designed and developed by our very own Clara Beyer and Mike Brophy, Substance is built around Google’s Material Design model. The theme is highly responsive, working on any device at any width. The look is fresh and eye-catching, with a straight-forward user experience on mobile, tablet, and desktop. Recently, we unveiled our first Substance build for a nonprofit client, The Aspen Institute’s Dialogue on Public Libraries. The site went live earlier this month, and we couldn’t be happier with the results. 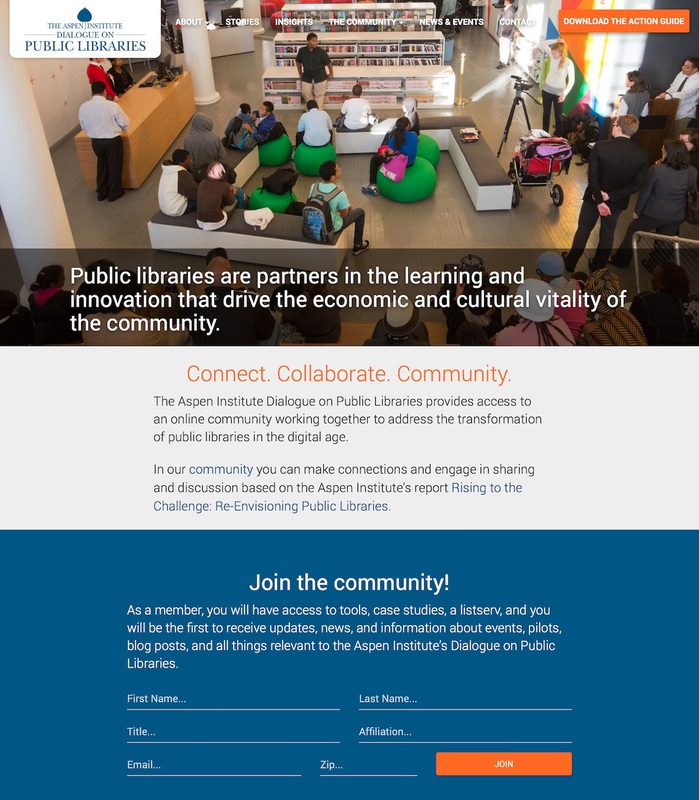 Take a few minutes to check out the new website for The Aspen Institute Dialogue on Public Libraries: http://www.libraryvision.org. Substance is also an excellent option for state, local, and Congressional campaigns looking to go live quickly with a professional, mobile-responsive site. Like what you’re reading and want to learn more about Substance? Use the form below to get in touch, and one of Veracity Media’s digital strategy experts will be in touch!